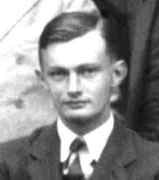 Harold Ruse graduated from Oxford and held a position at Edinburgh University. he later became a professor at Southampton and Leeds. He worked on Harmonic Spaces.